In honor of Valentine's Day, I'm going to show all of my amazing fans some love!! :) One winner it takes all! FIRST is a $50 gift certificate to Butterfly Baby Place. Here you'll find a great variety of boutique pillowcase dresses, modern peasant dresses, sibling sets, and boy's lounge sets. I just released my spring line and I'm adding more this week, so come and check it out! SECOND is a My Best Friend Shirt from My Own Threads!! The style of these shirts is totally unique and really adorable. Quality from start to finish with American Apparel t-shirts, designer fabrics and swarovski crystals for the eyes! My daughter actually has one of these shirts and I was incredibly impressed with the attention to detail and quality of these items!!! 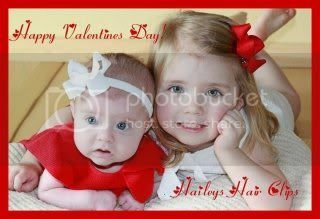 THIRD is a $15 gift certificate to Hailey's Hair Clips. They specialize in handmade clippies, bows, headbands, and much more. I've even seen made to match bows for Gymboree lines that are really sweet! You can have bows made to match pretty much any item you'd like with fantastic customer service to boot! FOURTH is a $25 Gift Certificate to Baby K Designs! I actually won one of these headbands and I can't say enough about the quality! My daughter never wants to take it off and it actually stays in her hair, which is quite a feat! You can tell that time is taken to make a great product with high quality materials! FIFTH is a beautiful Lovin' Pink headband from Kriner's Creations! Layers of bright pink satin and tulle with a rhinestone heart center to create a beautiful accessory for any girl. Each petal is handcut and heat singed for an authentic flower that will never fray. Headband and lovin' pink accessory are on snaps that are easily interchanged with any other snap accessories! SIXTH is an adorable Sock Monkey Hat from Karly's Kloset! This shop is just packed with adorable goodies for your little ones! 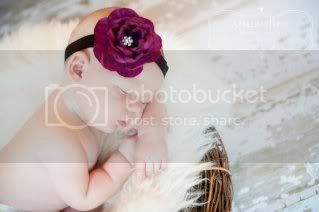 She offers darling headbands as well as crocheted hats and diaper cover sets that will make you swoon. PLEASE LEAVE ONE, SEPARATE COMMENT FOR EACH STEP YOU COMPLETE. IF YOU PUT ALL YOUR ENTRIES IN ONE POST, IT WILL ONLY COUNT AS ONE ENTRY. ***TWO*** Become a fan of My Own Threads and leave a shout out on her wall! Then come back here to the blog and leave a comment that you became a new fan. ***THREE*** Become a fan of Hailey's Hair Clips and leave a shout out on her wall! Then come back here to the blog and leave a comment that you became a new fan. 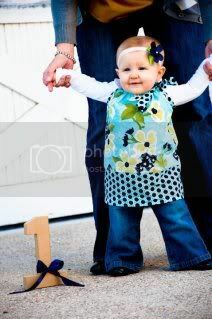 ***FOUR*** Become a fan of Baby K Designs and leave a shout out on her wall! Then come back here to the blog and leave a comment that you became a new fan. ***FIVE*** Become a fan of Kriner's Creations and leave a shout out on her wall! Then come back here to the blog and leave a comment that you became a new fan. ***SIX*** Become a fan of Karly's Kloset and leave a shout out on her wall! Then come back here to the blog and leave a comment that you became a new fan. ***SEVEN*** Copy and paste the post below on your wall and come back here and comment with a link to your post. If the person who references you is drawn as the winner, they'll win all of the above, but YOU WILL WIN a $20 gift certificate to Butterfly Baby Place for telling your friends!!!!!!!! hmmmm...I dont know how to post a link from the status I made...so here is the link to my fb page where I made the status!! Did all, steps one through 6!! already a fan of Butterfly Baby Place :) left some love anyways though!! Already a fan of Baby K Designs but left some love anyways. already 'like' Karley's Kloset and left a comment! 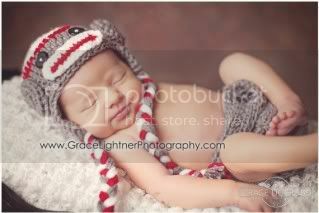 Loooove the sock monkey hat! Became a fan of Kriner's Creations and left some love. Already a fan of Karly's Kloset but left some love anyway. Was already a fan of Butterfly Baby Place. I LOVE LOVE your dresses!! New fan of My Own Threads. 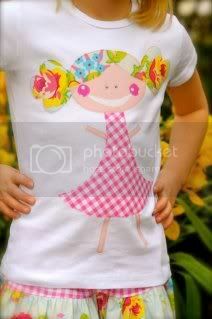 My baby girls would so rock her shirts! Baby K Designs?? LOVE it, seriously. Adorable! Fan of Kriner's Creations! Loving Karly's Kloset. Amazing hats. Became a fan of Butterfly Baby Place and left some love! Became a fan and left love on My Own Threads Clothing! Liked and left love with Kriner Creations! Already a fan of Butterfly Baby Place on FB! One: became a fan of Butterfly Baby Place!! "liked" and shared some love for My Own Threads. Fan of my own threads!! Fan of Haileys hair clips!! New fan of Kriners Creations!! New fan of Karly's Kloset!! New fan of Butterfly Baby. Liked "My Own Threads Clothing" on FB. Fan of Hailey's Hair Clips! 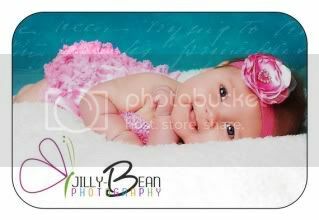 New fan of Baby K Designs on FB. New fan of Kriner Creations on FB. New fan of Karly's Kloset. Became a fan of My Own Threads!!! I'm a new fan of Butterfly Baby..Awesome giveaway! I Became a NEW Fan of Butterfly Baby Place!! Posted on their wall!! LOVE LOVE My Own Threads!! Already a Fan!! Commented on her Wall!! New fan to Kriner's Creation!!! Became a New Fan of Hailey's Hair Clips! Left a Shout out!! Becane a New Fan of Baby K Designs! Posted on Wall! Became a new fan of Kriner's Creations! Posted on Wall!! Became a New Fan of Karly's Kloset!! New fan at Karly's Kloset!!!! Posted contest giveaway on my wall!! Keeping my fingers crossed I win!!! I became a fan of Butterfly Baby Place on FB. I became a fan of My Own Threads on FB. I became a fan of Hailey's Hair Clips on FB. I became a fan of Baby K Designs on FB. I became a fan of Kriner's Creations on FB. I became a fan of Karly's Kloset on FB. I'm a new fan, love your creativity! Fan of butterfly baby place and left a shout out! Thank you! Shared about the giveaway on my facebook page and on my fan page. I am a NEW fan of Butterfly Baby Place and left a comment saying that I am entering this giveaway. I am a NEW fan of My Own Threads on Facebook and left a comment. I am a NEW fan of Hailey's Hair Clips on Facebook and left a comment. I am a NEW fan of Baby K Designs on Facebook and left a comment. I am a NEW fan of Kriner's Creations on Facebook and left a comment. I am a NEW fan of Kailey's Kloset on Facebook and left a comment. I copied and pasted the post on my FB wall. Became your fan, sent from Jenni Clark!! thanks for the giveaway!! I am a new fan of Butterfly Baby Place and left a comment. I follow my own threads and left comment. I liked and left comment for baby k designs. five - I liked Kriner Creations and left comments. six - liked and left comment on karly's kloset. Already a fan of Butterfly Baby Place, and left a comment on your page! Already a fan of Karly's Kloset, and left a comment on her page. Became a fan of MY OWN THREADS clothing and left a shout out! New fan of My Own Threads! Already a fan of BBP..
*Last step... I Posted on my wall.... Thanks for the giveaway. New fan of Hailey's Hair Clips! I did 6 steps and hopefully will be the winner! A fan of BBP! Thanks for the giveaway! 'liked' and showed some love on My Own Threads Clothing! I became a new fan of Hailey's Hair Clips! New fan of Kriner's Creations! already 'liked' Karley's Kloset and left a comment! 'liked' & commented on Kriner Creations. New fan of Karly's Kloset! I am a fan of Butterfly Baby Place! Became a new fan of My Own Threads! Became a fan of. "My Own Threads"
Became a new fan of Baby K designs. Became a new fan of Kriner Creations. I'm a fan of Butterfly Baby Place! Love their stuff! I did step one...***ONE*** Become a fan of Butterfly Baby Place and leave a shout out on her wall! Then come back here to the blog and leave a comment that you became a new fan. DONE ***ONE*** Become a fan of Butterfly Baby Place and leave a shout out on her wall! Then come back here to the blog and leave a comment that you became a new fan. I already LOVE My Own threads~!! ONE** Became a fan of Butterfly Baby, and left some love! Adorable stuff! I already love Baby K Designs too! Thrilled to find Karly's Kloset we're expecting a boy in 2 months and I LOVE THE sock monkey hat! DONE ***TWO*** Become a fan of My Own Threads and leave a shout out on her wall! Then come back here to the blog and leave a comment that you became a new fan. I became a fan of My Own Threads and left a shout out on the wall! New fan & left some love for adorable hair clips at Hailey's Hair Clips! Became a fan on Hailey's Hair Clips & left a shout out!!!! Left a comment on Baby K's wall, already a fan! New fan of Kriner Creations... Ohmygoodness too cute! DONE ***FOUR*** Become a fan of Baby K Designs and leave a shout out on her wall! Then come back here to the blog and leave a comment that you became a new fan. New fan to Karly's Kloset, ADORABLE! I did step two....*TWO*** Become a fan of My Own Threads and leave a shout out on her wall! Then come back here to the blog and leave a comment that you became a new fan. This might be dangerous...everyone is so talented! Im a new fan of My Own Threads! Here's my link to my fb page!! I became a fan of Baby K Designs and left a shout out on the wall. I *LOVE* their stuff!! Step three is done ***THREE*** Become a fan of Hailey's Hair Clips and leave a shout out on her wall! Then come back here to the blog and leave a comment that you became a new fan. New fan of Kriner Creations! Step four is done. :) Already a fan of Baby K Designs.